Ahoy there me lads and lasses. Yer friendly buccaneer is getting ready to dive down Davey Jones’ locker. Don’t ye worry me hearties because this old salt will surely survive it as I’ve done it hundreds of times of before. Not only that, me confident that I will bring great finds to share with the crew. Me know that I will be tired though after the dive so I already prepared an app review for ye to check out. It’s an app that is called Spellspire by 10tons Ltd. Batten down the hatches and let’s start with the review. Since it has a different approach than the typical word game, it helps that it comes with instructions or tutorial on how to play the game for players to easily determine the gameplay, which is by the way easy to understand and follow. Every new thing that you will encounter will have corresponding information so you would know what they are for and what to do with them. If you love word games and role playing games or one of them and you are looking for a fresh content, this one will spark your interest. It combines two game genres, which make it even more challenging, fun, and exciting. 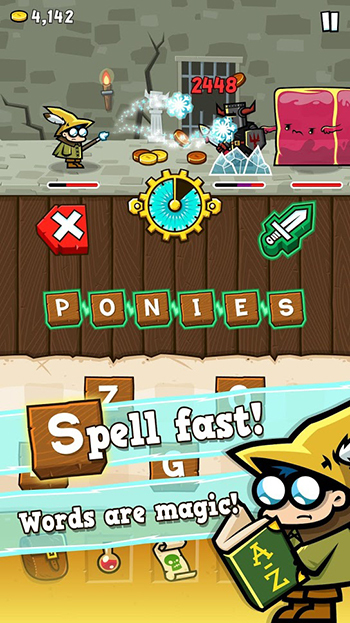 You will still tap the letters to create words, which will give you the power to hit the opponent. The longer the letter the more powerful the spell will be and the quicker it is to defeat them. It also has an element of time pressure as you will be hit by the opponents if you do not make up a word on time and this may cause you to die, thus ending the game. The background, images, and everything that concerns the graphics of the game are well-made. The characters and the villains do not look realistic as they are more on the cartoonish side, but they are well-drawn, detailed, and eye-catching. There are also special effects when hitting the opponents and when you are hit by them. The first few levels would not be a problem because they can be easily passed. However, as the level goes higher the difficulty level also increases. The timer seems to be also faster than the lower levels so you will feel the pressure of having to create words quicker and longer ones too in order to take down the enemies. 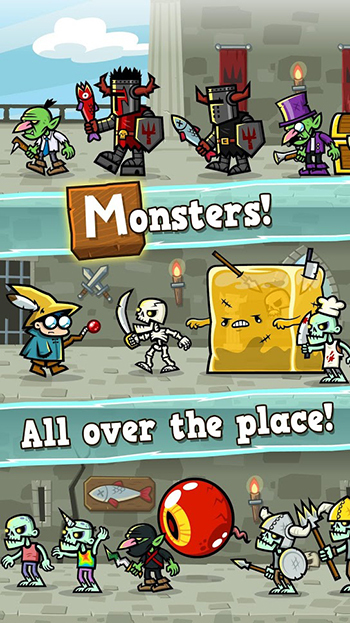 Spellspire has a fresh take because it combines two game genres in one app, which are word and role playing games. It comes with tutorial so you would know immediately how it is played. It has a nice amount of challenge that will make it livelier preventing it from quickly getting old. Lives can quickly run out in the higher levels, which will cause you to wait for some time before you can play again or make you decide to make an in-app purchase to continue playing without waiting. If you will be patient enough to wait for your life to be replenished if you run out of it, you can have fun playing Spellspire without having to spend any real money. It is fresh, fun, and exciting so this title is recommended.